The Science Behind Creativity: Is it art or is it chemistry? We’ve all experienced it: the deadline looms for a paper or project and your inspiration is suddenly missing in action. Or those inopportune moments in the middle of the night when the urge to create drives you out of bed. Can it all be blamed on will power, dreams, or the right bedtime cocktail? We’ll explore what is currently known and hypothesized about the neurobiology of creativity and the artistic drive, and what we might do to enhance it. Carol Cassella is a practicing anesthesiologist and novelist. She was a closet writer for years before blending medicine and fiction in her first novel, Oxygen, (Simon & Schuster, July, 2008), the story of an anesthesiologist tangled in the aftermath of an operating room catastrophe. Oxygen was an Indie Best Pick for July 2008, and has become a national bestseller. Her second novel, Healer, released in September, 2010, was also an Indie Best Pick. Carol grew up in Dallas, Texas and graduated from Duke University with a degree in English Literature. After working in publishing for several years, Carol decided to pursue her fascination with all the weird and wonderful ways humans behave and misbehave by studying medicine. She initially intended to become a psychiatrist, but when she couldn’t separate the body and the soul she veered into internal medicine and then, six years later, into anesthesiology. 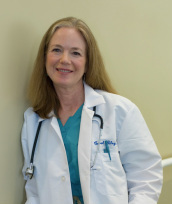 She is board certified in both internal medicine and anesthesiology. Prior to writing fiction, Carol wrote about global public health issues in the developing world for the Bill & Melinda Gates Foundation. She lives on Bainbridge Island, WA with her husband Steve and their four children.